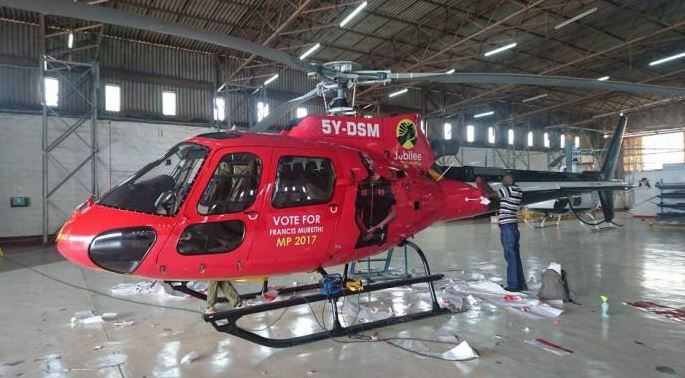 Jubilee Party aspirants are wasting no time in preparing for the rigorous campaign period ahead of theAugust General Election. 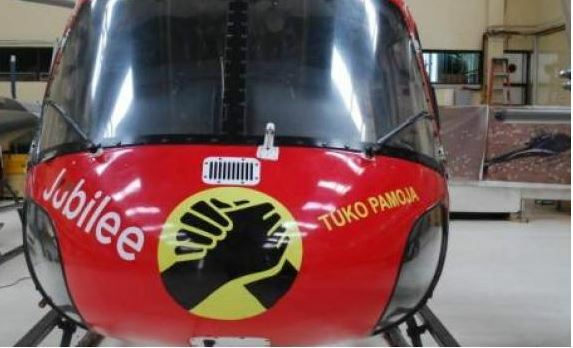 According to reports reaching our news desk, a section of Jubilee politicians has splashed millions to brand close to 100 helicopters in an ongoing operation at the Wilson Airport. 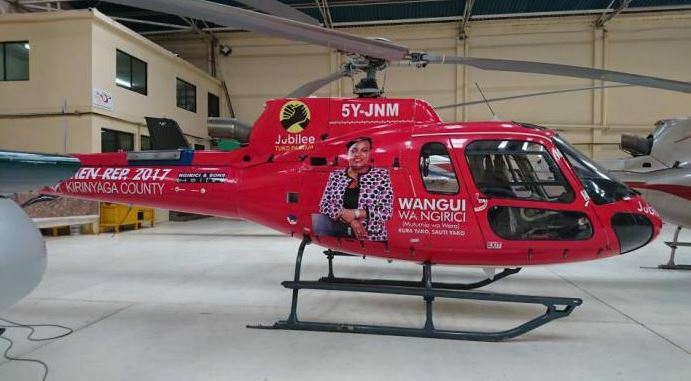 Some of the politicians who have had choppers branded include Meru Senatorial aspirant Mithika Lenturi, Kirinyaga Women Rep Wangui wa Ngirichi, and Embakasi East parliamentary aspirant Francis Mureithi. 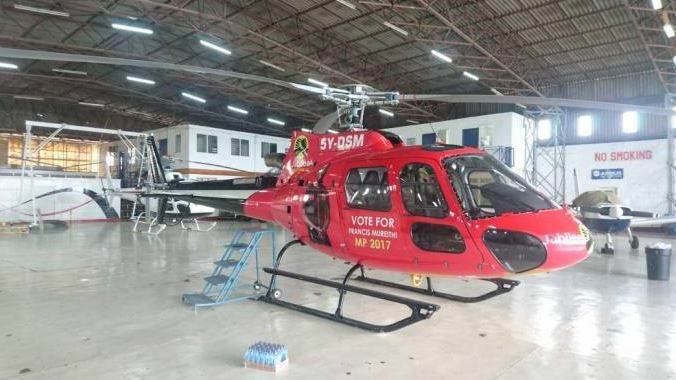 According to a report by Kenyans.co.ke, an official at Wilson chartering department revealed a chartered chopper costs between Sh170,000 and Sh 200,000 per hour depending on distance and duration of hire. Branding is charged at Sh100,000 for every five days. 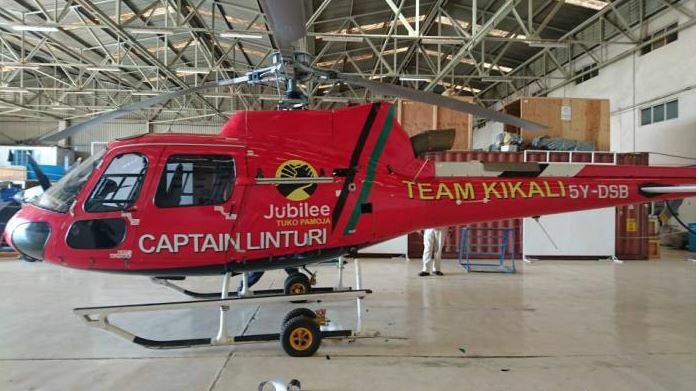 According to a Jubilee correspondent, the branding efforts are being funded by politicians privately. The branding has started ahead of the official campaign period set by IEBC. IEBC Chairman Wafula Chebukati recently announced that the official campaign period would commence on May 28 and end on August 5.